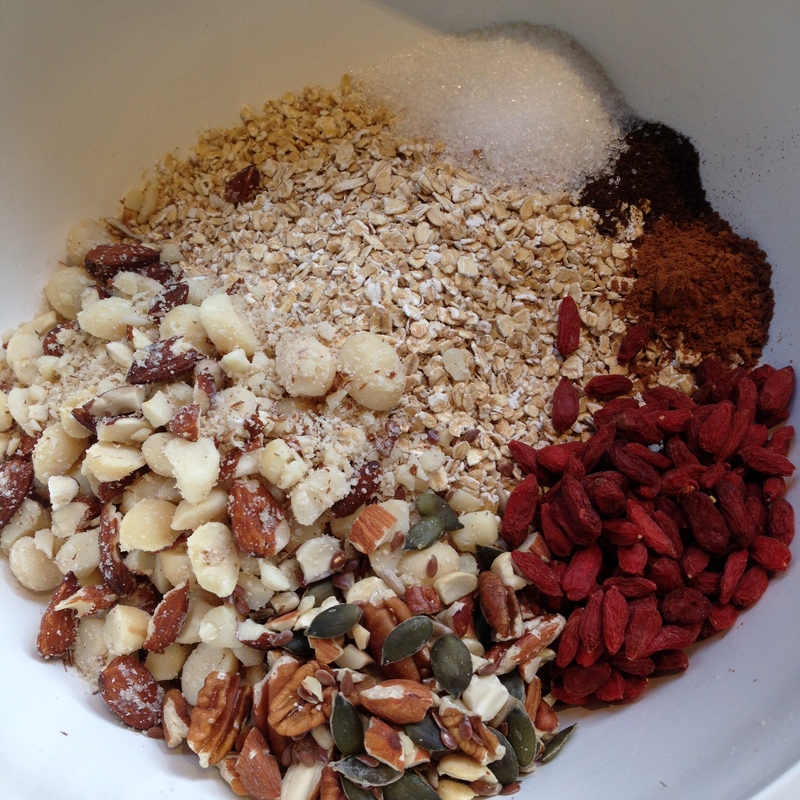 A simple & quick Muesli/Granola Recipe to keep your plain yogurt company & to satisfy you at Breakfast time. Sugar & Gluten Free of course! 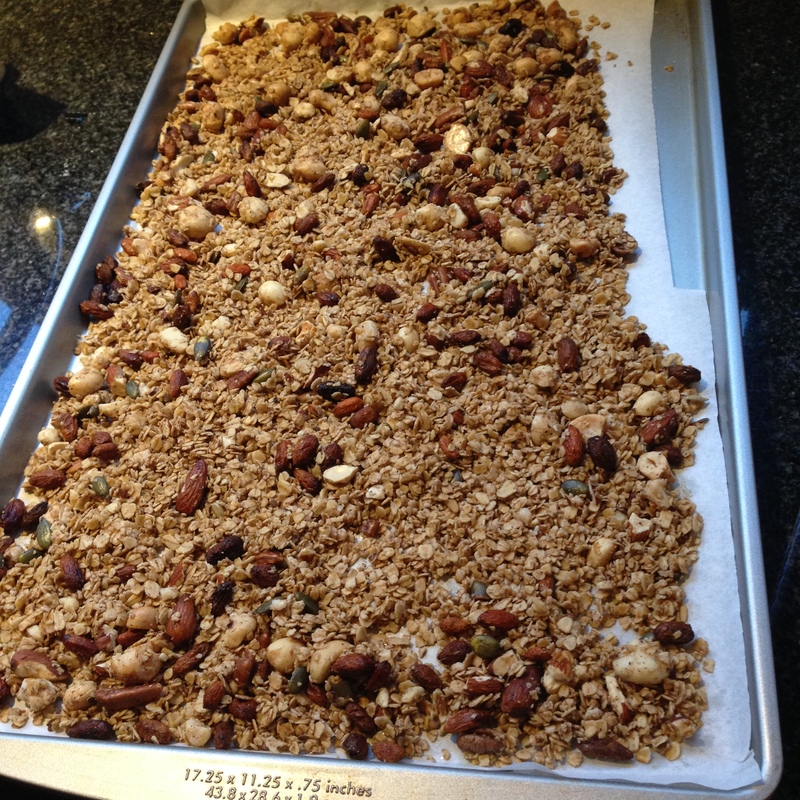 Line a baking tray with grease-proof paper and preheat oven to 160C. 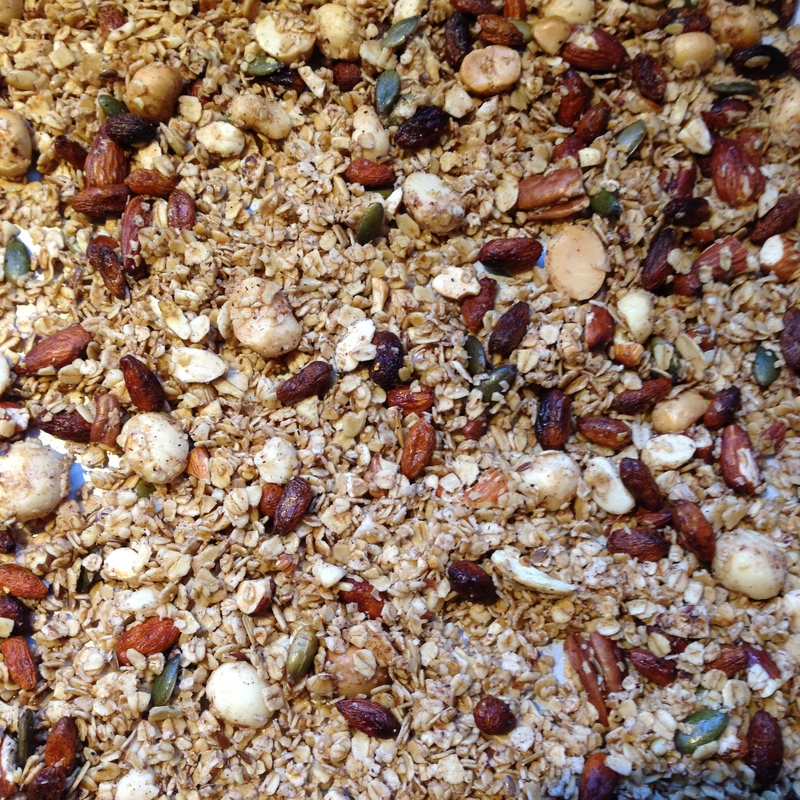 Combine all of the ingredients (Keep Goji Berries aside) in a large bowl. Melt 1/3 Cup Coconut oil in the microwave (30 seconds) and pour into the bowl of ingredients. Mix well. 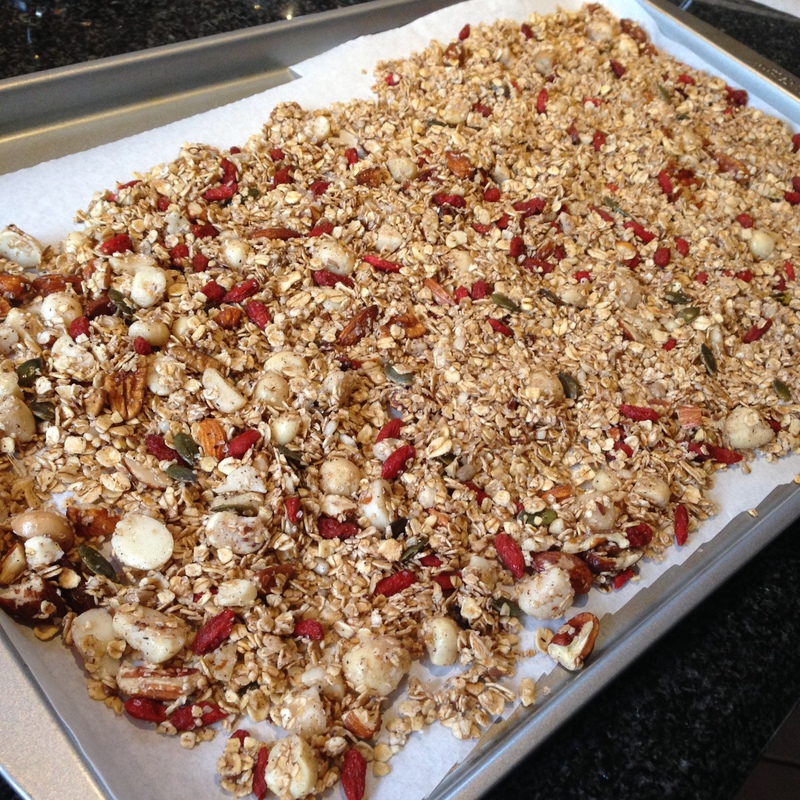 Spread the Muesli over the baking tray evenly. 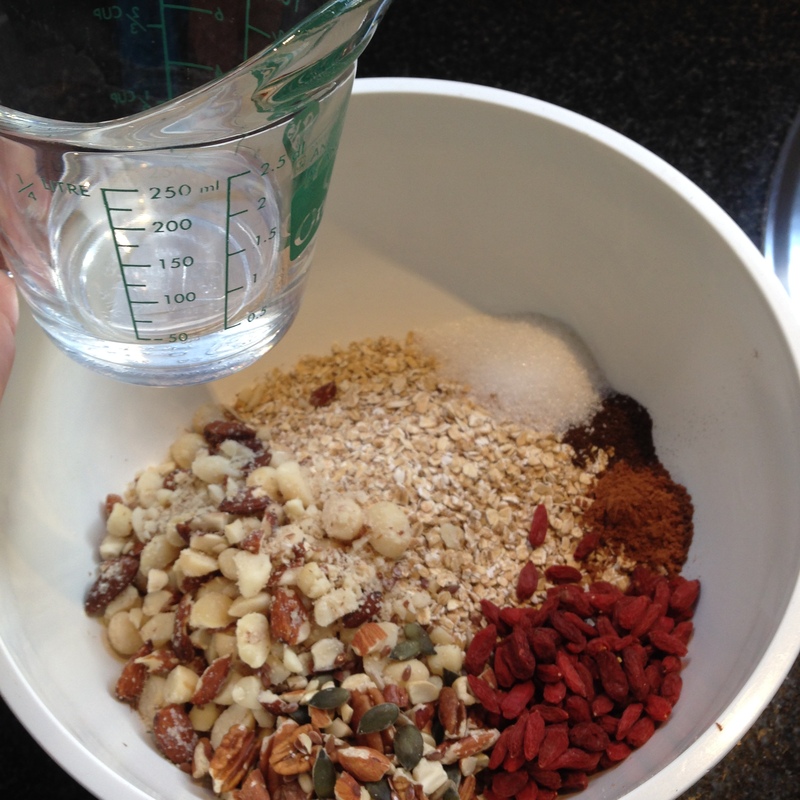 Bake in the oven for 10 minutes, then remove & stir up the mixture. Bake for a further 5-10 minutes.